Jazz Quintet featuring Stephanie James on Flute. Blues Set featuring Blues Vocalist Donna Butler. Jazz Octet featuring Stephanie James on Flute. 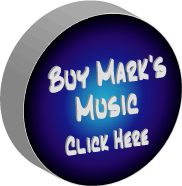 Mark has performed at many events in the Los Angeles area as well as in the the outlying cities in Los Angeles county. 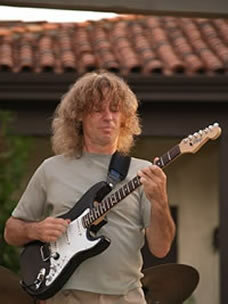 Mark is also a sought after guitar instructor and is available for private lessons. He has been performing in Los Angeles for almost 30 years. Mark Fitchett- Guitar Player from John Brackett on Vimeo. 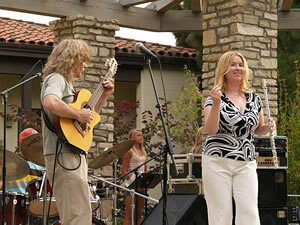 Mark Fitchett performs with renowned South Bay blues vocalist Donna Butler. More guitar than you ever thought you could handle! 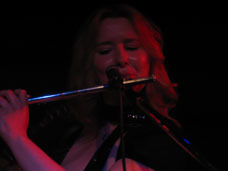 Canadian guitarist, Mark Fitchett's latest project is a collaboration with jazz flutist/composer Stephanie James. "Fitchett is currently one of LA's most fascinating guitar players." "..this man has an honest and emotional relationship with his instrument. He mixes jazz, hard rock, metal, and rhythm & blues into a soulful conversation of music." "A ten-piece orchestra located onstage accompanied the work. score was by Torrance-based composer Mark Fitchett." "...an evocative original score by Mark Fitchett." "Mark is the best guitarist in the world!" "When did he start playing guitar? " launch a space shuttle with his playing." to form some of the best music I've heard in quite a while." Regina Klenjoski Dance Company's (RKDC) The Crossings. Regina Klenjoski Dance Company's (RKDC) Museum Project. Regina Klenjoski Dance Company's (RKDC) "The Crossings ". Regina Klenjoski Dance Company's (RKDC) "Museum Project ". Regina Klenjoski Dance Company's (RKDC) "Christian's Lullaby". Regina Klenjoski Dance Company's (RKDC) "Love Lies Waiting." Mark Fitchett & the Cult of the Wrong Note (a term taken from a reviewer who panned Stravinsky al-most 100 years ago) call their music "instrumental," but they go far beyond the realm of hard-rock guitar heroes. With touches of blues, country, and even fusion thrown in, these four seasoned musicians from the South Bay can run circles around the current crop of LA whiz kids. There's plenty of maturity in Fitchett’s songwriting, yet the band keeps a sense of fun running throughout. From the well-crafted execution of the vivacious "Put a Lyd on It," to the gently powerful ballad, "Her," there's no no-hum attitude during their show; this is a quartet that believes variety does spice things up. On an outdoor stage in the heart of Wilmington (check your Thomas Guide for the coast’s oil refineries), they managed to pull off a set that lasted over 90 minutes, and still kept each instrumental focused and different. 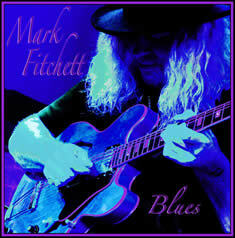 Guitarist Mark Fitchett plays intelligent lines, keeping his solos tight, with a definite beginning and an end. His sustained notes evolved into a flurry of speed, but he never tried to play overly fast simply because he has the ability. Toward the end of this set, he snapped a string during a major guitar solo, yet blithely continued the song on five strings without thinking twice. Capable of a beautiful tone, Fitchett is currently one of LA's most fascinating guitar players. Bassist Rick Hollander, a six-string monster, demonstrated his vast musical vocabulary from a vicious thumb-slapping style to unbelievable, two-handed chord work. Yet, during "Latin," he was able to come back to simple bass lines that followed the percussion. Drummer Chuck Messana played like classic jazz drummers from days past, with wrists inverted, in a fluid motion. He was able to kick the band forward, then hang back and provide a strong foundation. His remarkable sense of time was complemented by his graceful style. And Craig Roth's keyboards were reminiscent of Chick Corea, creating subtle textures and refusing to overpower the songs with mechanical tones. His swirling work added to Fitchett’s cerebral version of the Beatles' "Strawberry Fields Forever." It is interesting to note that the Wrong Note played through the headliner's equipment for the most part— which is amazing since most bands sound perfectly ordinary when they don't have their own amps and drums. The only casualty was Hollander, who couldn't pull a decent tone out of a standard-issue SVT cabinet. While he was by far one of the most impressive bass players I've ever seen, he also sounded pretty flat and muddy. But this is probably remedied when the Wrong Note plays on its own gear, and I look forward to seeing these guys pull out all the right notes at their next show. Taking a detour from the mainstream, this group of guys is out to muscle its way into a very small fraternity—namely, the guitar-driven, jazz/rock instrumental scene. If s the turf of fret gods like Joe Satriani and Jeff Beck, who—wouldn't you know it? — are the guys Fitchett is most often compared to. The Beck connection isn't far off the mark, as it is the Blow by Blow album that Fitchett credits as the inspiration for his musical direction. Indeed, inside his organic and pliable licks, one hears the aforementioned influences, as well as those of Johnny Winter, Larry Carlton, Albert Lee, and maybe a little Steve Vai as well. What impressed me most about Fitchett was that, despite a degree in guitar theory, he doesn't simply rehash technique by the numbers the way a lot of other "school boys" do. Although occasionally lapsing into the "how many notes can I fit in here?" syndrome, for the most part, this man has an honest and emotional relationship with his instrument. He mixes jazz, hard rock, metal, and rhythm & blues into a soulful conversation of music. His skills as a transcriber are sought out, and he has published several books for acts like Tesla and Lita Ford. But it's clear he has a talent for composing as well...and he knows exactly what he hopes to do with it: "I knew going into it that, for instrumental guitar music, there's not a big market... I don't have the illusion of mega-stardom. I have the goal of touring, and maybe opening up for major acts." The six songs on the tape (including a very snazzy cover of the Beatles' "Strawberry Fields Forever") demonstrate his band's ability to help him reach that goal. Craig Roth, formerly with African reggae stars Alula and the Presidents, plays the keyboards with fluid grace and subtle bravado. Rick Hollander, who's done session work with Natalie Cole, slaps his bass like a madman with what seems like more fingers then he should possess. Lastly but not leastly is drummer Chuck Messana, whose wild resume includes session work with folks from Debbie Reynolds and Barbra Streisand to Frieda Payne and Francis X. His beat is as supple as a cat's backbone and as steady as a clock, giving the band cohesion as well as the freedom to explore. This is obviously a seasoned group of musicians that knows what works and how to work it. Although it may not be "mainstream," and I admittedly don't listen to this genre often, I don't need to be slapped up the side of my head to recognize a groove when I hear it. The band is a real buzz, and fans of this musical style deserve to hear it. Everyone has heard the stories of starry-eyed youths who journey to Tinseltown with visions of glory and not much else, but they might not have heard about the kid from Richmond who hopped a bus for Hollywood with the dream of becoming a professional guitar player. Mark Fitchett did just that one March day in '79, and he actually managed to beat the odds by finding success in La La Land. As well as leading his own instrumental recording act, Cult of the Wrong Note, Fitchett is also one of the Los Angeles area's most sought-after guitar teachers. In his spare time he writes instructional guitar books, his latest being Chops Builder, to be published by Cherry Lane Music (New York) this month. And his main ambition is to have a symphony he's composed performed by a full orchestra. Pretty lofty stuff for a guy who started out with just a guitar, a bus ticket, and 150 bucks. Fitchett got hooked on music while he was a Richmond elementary-school student. Like most kids, he started out on the recorder, but it didn't take long for him to become part of the school local band and add a much more demanding instrument to his repertoire. "I loved Herb Albert and the Tijuana Brass," recalls Fitchett, on the line from his Redondo Beach, California, home and studio. "So when they came around with the band instruments and said, 'Whaddya wanna play?' I said 'Trumpet.' I was always in the music class playing very poor trumpet, and then when 1 was 12 or so I started taking guitar lessons because my best friend did." He signed up, then went home and told his mom, "Guess what you got me for my birthday?" Fitchett took his first guitar lessons at a place called Jack Bourne's Academy of Music, a refurbished Richmond garage that specialized in accordion lessons. He picked up some chords, a bit of reading, and a few Creedence Clearwater Revival licks from "a guy named Ralph," but after six months or so he called it quits. Then he took the "street learning" route, picking up Hendrix and Led Zeppelin licks from his buddies. At 17 Fitchett joined his first band, Overproof, which played at the old Surf Cabaret and put on private-hall parties. "It led to frustration," says Fitchett. "I wanted to do some original material, but they were just not receptive, and [the original-music scene] just seemed really dead around Richmond or Vancouver. So when I was 20 or so I hopped on a Greyhound to Portland, and then hitchhiked the rest of the way to beautiful downtown Hollywood." Fitchett eventually found some landscaping work and an apartment, and met enough musicians to start his own group, the Fitch Band, which played a lot of Hollywood showcase gigs. Fitchett handled the guitar and vocals in that band, but after a couple of years made the move to the kind of music that would become his forte. "Ever since I was about 17 I wanted to be an instrumental guy like Jeff Beck," he says. "He put out an album in the '70s called Blow by Blow, and I was just totally influenced by that. I went, 'God, if I could ever be good enough to do that, that'd be just the thing." Fitchett worked toward that goal by studying guitar, composition, and arranging at Southern California's Grove School of Music, then in '89 formed Mark Fitchett & Cult of the Wrong Note with bassist Rick Hollander, keyboardist Craig Roth, and drummer Chuck Messana. When not heading his world-class quartet—which is currently working on its sophomore release—Fitchett can usually be found either giving lessons or taking them, though not from a guy named Ralph anymore. Fitchett studies (studied) with the likes of the Hellecaster's Will Ray nowadays, as well as Jamie Glaser (sideman to Chick Corea and Jean-Luc Ponty) and jazz "chord maestro" Ted Greene. "I'm a junkie for knowledge," he says. "I'm a guitar player professionally, and then for a hobby I study guitar." Mark Fitchett, guitarist and bandleader for the metal-oriented jazz-rock quartet Cult of the Wrong Note, stood center-stage at the Red Onion in Redondo Beach and began to finger the rainbow-colored Roscoe hanging at his waist. Keyboard player Craig Roth kicked off the familiar, sing-song intro to the Beatles' "Strawberry Fields," and then Fitchett launched the song into space, making his guitar bawl out the melody with a fevered psychedelia that sent me half way to flashback city. Fitchett's guitar was alive throughout the set of mostly original tunes, spitting out staccato licks, bending notes, at times recalling the style of Joe Satriani. He showed off a disciplined technique developed through years of formal training, and displayed the abundant energy that he has used to become a prolific composer, a sought-after transcriber for musicians like Tesla and Lita Ford, and a performer who has earned radio airplay from big L.A. stations. Fitchett's stage presence was playful, boyish, and animated by a low-level nervous energy — in other words, it's exactly the same as his offstage presence. During an interview in the eight-track studio of a Hermosa Beach apartment the 35-year-old Fitchett sat in a swivel chair and fiddled compulsively with an unplugged guitar. His answers tended to come in short, shy bursts, but he talked more easily when the subject was other musicians. Like Joe Satriani, whom he admires. Or Jeff Beck, whose album "Blow by Blow" inspired Fitchett to focus on writing and performing instrumental guitar tunes. Satriani and Beck are among a handful of guitarists who can make a very good living at instrumental music that's a touch outside — one might say a touch above — much of mainstream rock, and Fitchett's goal with the Cult of the Wrong Note is to work his way into that small club. "I knew going into it that for instrumental guitar music, there is not a big market," he said. "You can name maybe six guys that are big commercial successes with a guitar-oriented rock sound." I don't have the illusion of mega-stardom, I have the goal of touring, maybe opening up for major acts." His tight, muscular band has produced a polished, powerful demo that shows off lots of musicianship and passion, and the boys have been preparing to contact record labels big and small in search of a deal. "We do have a game plan," said the energetic Fitchett, whose bookshelves are crammed with titles like "Power Talk" volumes 1-12, and motivational audio cassettes by Anthony Robbins, the guy on TV with the great big teeth. "Yeah, 1 got sucked into Tony Robbins," Fitchett said. "It’s pretty good. It’s great, if you apply it. Me and the bass player are into him a lot." When he's not playing with the Cult of the Wrong Note, Fitchett is motivated to teach guitar, to play with the Campbell Bros, contemporary jazz band (he's introduced as "a brother of a lighter shade") and to write like mad. "1 like to compose orchestral music," he said. "I've got to get a symphony done for the L.A. Philharmonic. They don't know it yet." While at the Grove School, Fitchett learned to transcribe music, and he has written internationally published music books including "Tesla: Mechanical Resonance," "The Great Radio Controversy" and "Lita Ford: Lita." And during a break from the serious music student thing, Fitchett has gotten some air play on Dr. Demento's venerable radio show with his "Led Zeppelin Reunion Tour: Vegas '99," a satirical medley of Led Zepplin hits played lounge lizard style. "I like to keep busy," Fitchett said. "I don't like TV, the only time I read a book is in the bathroom." Besides motivational materials, Fitchett’s bookshelves are stuffed with symphonic scores and books on music theory and history. In a world awash with the sounds of rock bands that play and sing one note, Fitchett believes that the key to songwriting is, well, songwriting. You know, melody. And he hopes he can take his kind of music all the way, or rather part of the way, to the top. "There's a niche for it, it’s just limited." "I try to be goal-oriented, " says Mark Fitchett. "I try to write things down, try to really motivate myself. It's hardly ever that I'm just sitting down." This is how the South Bay guitarist and songwriter has come to be in four different bands, all of them active and working simultaneously. There is, first off, Cult of the Wrong Note, an all-instrumental jazz-rock band that showcases the group's original music, most of it Fitchett's. The line-up also includes Rick Hollander on bass, Chuck Messana on drums, and Craig Roth on keyboards. Second, there's the Mark Fitchett Trio, or Quartet, or sometimes just Mark Fitchett and Friends, the semi-official house band at Hava Java's. This incarnation (Fitchett, Roth, Messana, and currently Gabe Kreiswirth) plays old jazz standards on most Saturday evenings. Group three would be The Campbell Brothers, an instrumental sextet featuring saxmen Garland and Alex Campbell, with David Campbell on drums, Daryl Bomar on bass, Rick Grajeda on keyboards, and you know who on guitar. "They describe themselves as urban contemporary," Fitchett says. "It's kind of 70s-style funk-jazz; Grover Washington. The band has played around the South Bay. We've done everything: malls, art show openings, weddings. The band works quite a bit. "The latest effort," he continues, "is called Blues Without A Net--and that's members of Cult of the Wrong Note" (Fitchett, Hollander, Messana--with Rick Grajeda of The Campbell Brothers). "We know a lot of musicians, so it's easy to mix and match." This line-up is "the house band for Sunday afternoons at Moose McGillycuddy's in Redondo Beach. That's an open-mic forum for musicians to come sit in... And we serve as the back-up band." This has been happening at Moose McGillycuddy's for only the last two months or so, and Fitchett claims the momentum has been building. The group comes on and plays a few blues tunes, then anyone can walk up and join them on stage. Fitchett also assures me that other musicians aren't afraid to participate. "If they falter a little bit, everybody's very supportive; because there're a lot of amateurs in the crowd. Everybody, no matter how good or bad they do, gets a good round of applause. It's a real supportive audience. It's not like a competition." Not to shortchange his skills as a guitarist and songwriter, but Fitchett's two most valuable assets may be his abundant enthusiasm and his sensitivity toward other musicians, not least among these being aspiring musicians. In addition to frequently playing live, Fitchett also teaches a beginning and intermediate blues-rock guitar night school class at Redondo Union High School, which he's been doing for a few years now. On other evenings, he gives private lessons at his home. Previously, he's taught a guitar class for the Torrance Recreation Department. In fact, many of his current and former students are among those who show up on Sunday afternoons at Moose McGillycuddy's. Perhaps Fitchett's high school classmates and instructors wouldn't recognize him if they encountered him today. "I did real terrible in school," he says. "I was the type [about whom] the teacher would write on the report card: 'Mark could do very well in school if he would pay attention.' Or, 'Mark has a lot of potential, but his mind seems to wander.' "Then, when I was 28 or 29, I'm now 37, I signed myself up to a guitar music school, on my own free will. And I did real well." This was the well-known Grove School of Music. "Anyway, I was kind of amazed at myself. It was full-time, and as I was going through it, I [thought], 'I never had this attitude when I was in high school or at home.' But we all know it's because when you want to do something... Right?" In short, he'd found his direction, and it was like a banner in the wind with notes, bars and staves. One might get the impression that Fitchett has been a fixture of the South Bay since the day he was born, but actually his roots are so far north, they're in another country: Canada. In 1979 he was living in Vancouver and he wanted to form a band and play originals, but it seems he didn't have much luck in recruiting the interest of his fellow musicians. And so one day, with a bag, a guitar, and $150, Fitchett hitchhiked to Los Angeles." He then found a ratty hotel in Hollywood. A week later, as he was getting set to return, he came upon some temporary employment, and--as they say--one thing led to another. "Circumstance after circumstance fell into my lap where I could afford to stay. Like I said, I had only 150 bucks." Fitchett met up with other musicians and began playing. He joined a group, "the singer of this band had a connection down in Hermosa Beach," and so Fitchett and a few others moved into a bootleg apartment near the downtown area. This was the latter part of 1979. In those days, he admits, he even slept in the park a few times. Everything I did then, it was great. It was wonderful." On the other hand, Fitchett claims that he wasn't foolish. He kept a fairly clear head, he says, unlike those people who might see living on the street or in fleabag hotels as a chance to get high and party. "The party did not figure into the equation at all," Fitchett says. "So that, I think, is part of the reason I survived." When asked which local artists he admires, Fitchett names several but begins with Carson's The Regulators, a group that had a not-very-well promoted disk last year on Polydor Records. Fitchett also names such South Bay luminaries as Barry Levinson (of The Automatics), T.J. Parker and Mark Shark, who not only has a Rykodisc contract with Indian poet John Trudell, but performs with The Zydeco Party Band. Referring to the latter, Fitchett says, "I had them play at my wedding." Fans of Jeff Beck, Carlos Santana, Joe Satriani, and Steve Morse from the Dixie Dregs, would probably like to check out this band. Cult of the Wrong Note also has a CD, on the Fitchett's own Screwloose Records, and the public relations department seems to be comprised of Fitchett, his wife Geri, and bassist Rick Hollander. Not too surprisingly, Fitchett remarks that, "I would rather be playing my guitar and writing and creating." A second Cult of the Wrong Note CD is currently underway, and we could be seeing it by the end of the year. While Fitchett is looking forward to its release, he also claimed to be very pleased with the band's maiden effort. In the meantime, he's trying to line up foreign distribution for it. Are any other the other groups he's working with considering the release of an album? "The Campbell Brothers are also putting out a CD," Fitchett replies. "We recorded all of the material. It's in the can, as they say." And although no one's even talking about the studio at this point, Fitchett sees a potential hot future for the Rick Hollander-initiated Blues Without A Net, especially if they start performing with a young female singer who's a former guitar student, and who has, apparently, a knock-out voice. "I've put myself in a position now," Fitchett says, "where I'm making it not by playing but by doing a lot of teaching. So, I'm not stuck having to go out and play Top 40 or music I don't like just to pay the rent. I'm in a position where I can set my own hours, and whenever I want to do a gig, it's because it's fun." While this allows some flexibility, time remains at a premium. Another project in the works is a symphony--Fitchett's been studying with Manhattan Beach film composer Terry Plumeri--but with four bands and countless students that come first, this is one career move that may have to wait. "If it was the perfect time in my life," Fitchett says, "I'd be playing guitar all day and doing a lot of practice, because I'm a real addict about that, and I really want to strive to be better than I am. "I love so many different styles. As well as being the jazz guy, etcetera, I like the rock stuff, the blues stuff, all the different stuff. So, if I had the time, I'd be doing that, plus doing a lot of writing. "I'm involved in too many things," he says, but with the possibility of agreeing to write instructional material, and maybe even one day opening up a guitar studio, it's hard to imagine Mark Fitchett doing less. His name is one we're likely to see for a long time, and in a lot of places. Originally, the banjo was the primary blues instrument and the guitar did not enjoy wide spread popularity till around the turn of the century. There are several reasons that may have led to the guitar's rise in popularity as the primary accompaniment instrument for blues singers. One is the ease in which one could learn to play the three chords necessary for the twelve bar blues in about five keys. Also, it is possible to emulate some of the "vocalisms" inherent in blues singing, such as slurring between the pitches to produce among others the main "blue note" between the flatted 3rd and major 3rd. This is easy to accomplish by sliding between the pitches on a single string, or actually bending a string to get the "in between notes"
Other examples are slurring between the 4th and flatted 5th, between the flattened 5th and natural 5th, between the 2nd and flattened 3rd/major 3rd, between the 6th and flattened 7th and between the flatted 7th and tonic. It should be noted that these pitch "bends" are often less than a half step, and are often in the realm of "1/4" or even "1/8" steps and anything in between. This is something that is felt by the performer and tends to add a lot of emotion to guitarist's and vocalist's performance. As electric guitars came more into prominence in the later years, guitarists were able to bend their strings to much higher pitches than the usual ½ step (or less) places found in earlier blues. In this current day, it not unusual to hear in addition to the small slurs, whole step, minor 3rd and even major 3rd bends. However, bottleneck or slide guitar as it became known allowed a guitarist almost unlimited slurring range since the glass never made contact with the actual frets but merely slid across the tops of the strings. Compared to a banjo, other advantages of the guitar include a greater range (especially on the low end which gives chords a much fuller sound), and the capability of a considerable amount of expression and dynamic range. (Try to play a banjo softly!). As well, guitars have considerably more sustain. Banjos are not really known for their singing quality, they go "plunk!" and tend to have an edgy percussive sound. Go to www.markfitchett.net and to Youtube.com see & hear Mark play.